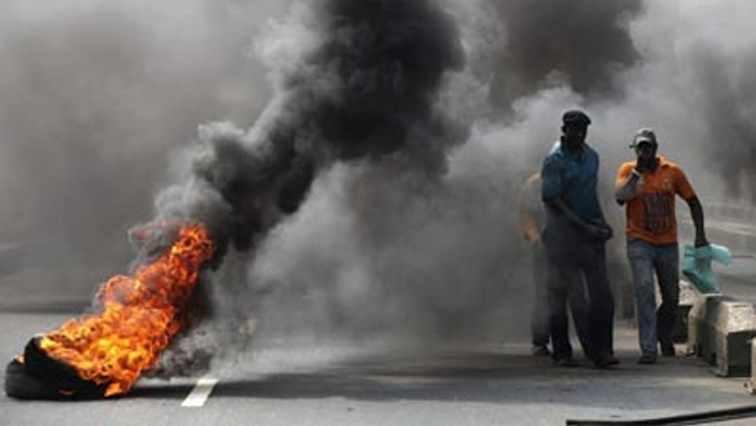 Chaos has erupted in Bekkersdal, west of Johannesburg, as communities clash with police. Public Order Police have been deployed to the township to quell a service delivery protest which started on Wednesday morning. Residents are demanding the electrification of informal settlements in the area. Schooling and businesses have been disrupted. Authorities have urged motorists to avoid the R28 Road connecting Krugersdorp and Vereeniging via Randfontein. Police are firing rubber bullets and teargas in an attempt to disperse the protesters. But the angry crowds are retaliating by pelting police with rocks and stones. School children are among those running for cover. Businesses including spaza shops have shut their doors in fear of their safety. All roads leading in and out of Bekkersdal are blockaded with rocks and burning tyres. The post Chaos erupts in Bekkersdal as communities clash with police appeared first on SABC News – Breaking news, special reports, world, business, sport coverage of all South African current events. Africa's news leader..